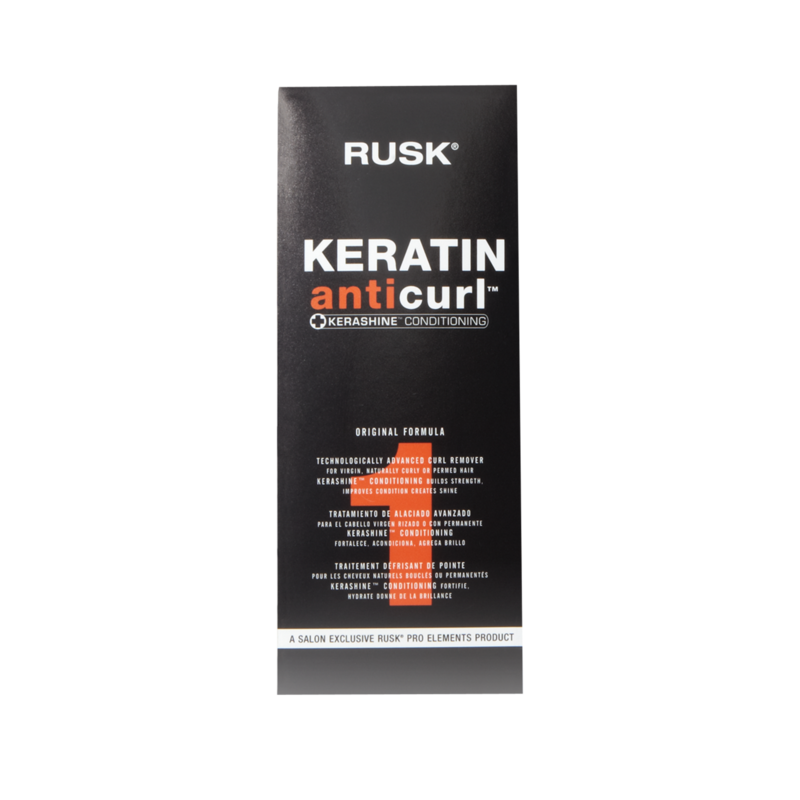 Rusk Anticurl Original #1 with Keratin, technologically advanced curl killer, is for naturally curly or permed hair. Radical AntiCurl is a brilliant technical achievement brought to you by Rusk. It alters the pattern of naturally curly or wavy hair, and un-perms ends instantly without cutting them off or waiting until hair grows out. It is recommended that the two-step process be performed by a licensed professional hairdresser. The first step softens the hair's natural texture bonds and the second step reconstructs them. If the first treatment doesn't provide the desired softening, another application can be applied in four weeks after the first application if the hair is in good condition and has not sustained damage. A thick cream is combed through pre-sectioned hair separated into approximately 3/4-inch sections and starting one inch from the roots. The treatment is never applied directly to the roots. Unlike chemical straighteners the cream is not consistently combed. Once application is complete, hair is combed back and left to ""cook"". The goal is for the hairdresser to keep the hair as flat as possible. After the treatment has finished processing it's rinsed out of the hair for anywhere from 4-8 minutes until the water runs completely clear. Hair is towel blotted and then combed completely smooth. More product is applied to pre-sectioned 3/4-inch sections of hair which is combed completely flat. Hair is combed from the back to the top of the head. After the second phase is applied, the hairdresser combs hair from side to side for approximately five minutes. The hair is rinsed completely well. The process is finished.